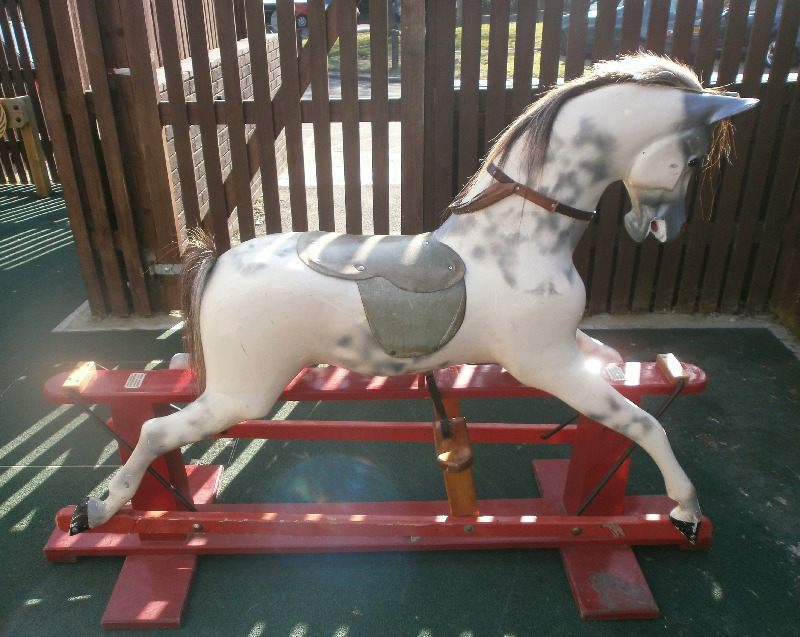 HADDON ROCKING HORSES - a good sound toy meant to be ridden. These horses were built to last. 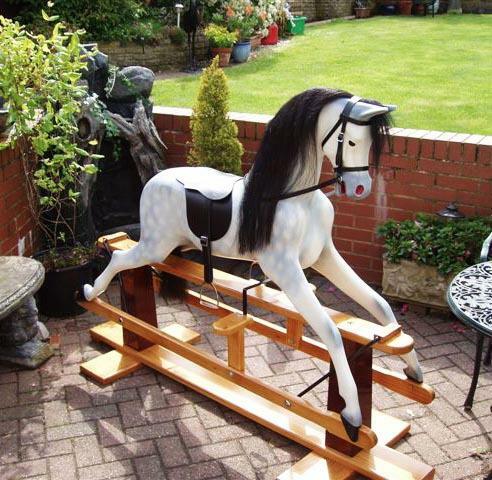 Founded by John and Mary Labouchere; in Oxfordshire England (Didcot then Wallingford) when John made his first rocking horse for his godson, they continued in making a number of other rocking horses before formally registering the Company. 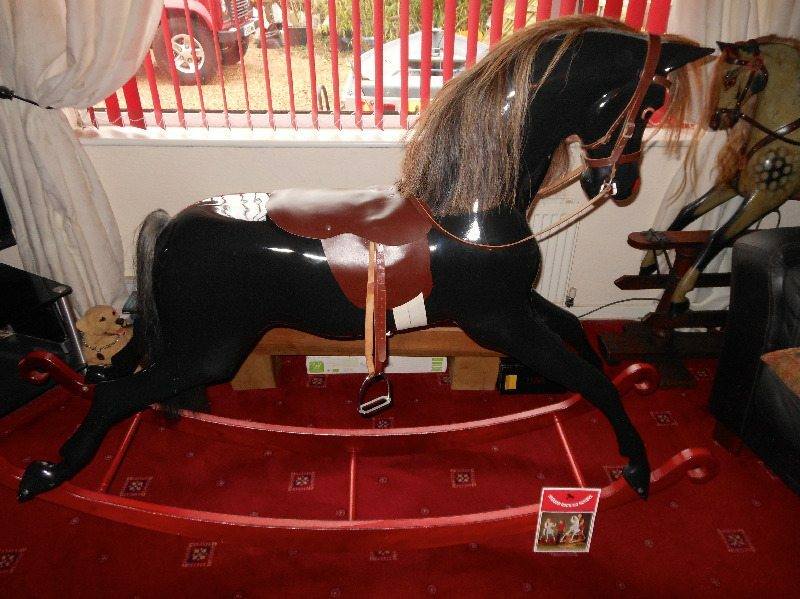 The 'Haddon' name soon became known for rocking horses with demand in the 1970's and 80's often exceeding capacity, delivering its rocking horses all over Europe - and to the rest of the world. With the subsequent demise of other industry names, Haddon Rocking Horses has emerged to become England's oldest established rocking horse maker in business today and proud to continue in the tradition of making distinctive, practical and durable rocking horses that have demonstrated to provide years of faithful service and generations with enjoyment. The older Haddon Rocking horses are getting quite sort after and are fast becoming very collectible, especially the ones with the Wallingford plate on. They are a good starting point for a collector and price wise a good investment. Below are some examples of the haddon rocking horses.